Back in December, we got a little look at Will Smith as the Genie in Aladdin, courtesy of an Entertainment Weekly cover. 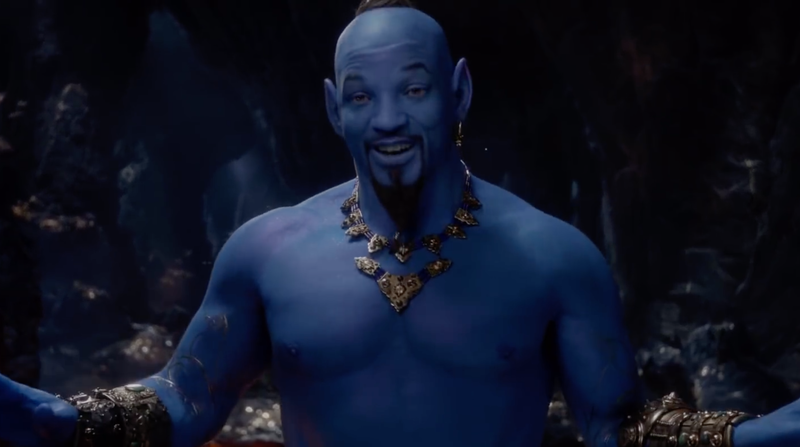 Now, in a new teaser trailer, Disney has revealed Smith’s character in blue for the first time. Just one look at social media and you’ll see plenty of jokes mocking Smith’s look. Check out the clip below, and catch the movie when it hits theaters May 24th.